E-commerce continues to shape the way we do business. The retail industry, for instance, has undergone a major transformation, and the sector continues to evolve rapidly. In light of the changing dynamics, retailers should look for ways to adapt to changing trends, attitudes, demographics and consumer preferences. Various big commerce trends will shape the future. Google always gives precedence to websites that are coherent, speedy and easy to operate. If your site takes more than 3 seconds to load, the high chances are that you are losing almost 40 percent of your web visitors. That’s not all. While you may have the speed right, if you have a confusing layout or interface, customers will not return to your site. The overall readability of your site is crucial. Endevour to have easy to read and digestible content on your site. Avoid the use of filler keywords or being overly promotional. Trust is the operating currency. Customers will only trust you if they feel you are authentic and real. Do not oversell your products or make ridiculous and unattainable claims. The enhanced user experience should flow across different platforms. This is from the desktop to mobile devices. There is a rise in the number of people using mobile devices for e-commerce. In light of this, your website should be optimized for all mobile devices. A study on consumer behavior shows that consumers use various channels to shop. While a more significant percentage buys products online, there are still those who prefer brick and mortar stores. Multi-channel marketing also refers to different online shopping platforms such as Facebook, E-bay, and Amazon. All projections show that multi-channel selling is expected to rise. For businesses to thrive, they need to have a presence both online and offline. As a merchant or store owner, you need to implement a marketing strategy that gives you reach across different channels. This should be in addition to your website and your physical shop. The payment process is a vital step in the customer purchasing journey. In an age where people are so busy, customers do not want to spend much of their time figuring out your payment process. The ease or difficulty of this process can break or make conversions. The buying process needs to be smooth and effortless. Otherwise, you will lose many potential clients. According to a study by the Baymard Institute, about 70% of customers abandon their carts. It is interesting that they do this after taking time to consider whether to buy the products and putting the items in a shopping cart. A complicated checkout system works to the detriment of your business. While people may like your products, they will still abandon them if the checkout process is not smooth. If you want your business to thrive, you must streamline your payment process. Ensure that customers can pay for products smoothly and within the shortest time possible. The length of the shipping process has a huge influence on consumer behavior and retention. Studies done show that consumers are getting more impatient when it comes to waiting for their products to be delivered. Initially, people were willing to wait for an average of 5.5 days, but today this has reduced to 4.5 days. This is why online merchants like Amazon have reduced their shipping time to about two days. If you wish to scale and maintain a competitive edge, you must look for ways to cut down on shipping time. This time also applies to service delivery companies. The response time you take to respond to calls and queries lodged will determine whether customers trust you or not. For businesses to thrive, they must create a compelling value proposition. This means a deep understanding of the market, consumer preferences, and competitors. Any efforts you make should add value to your target customers. This begins by having an honest appraisal of your company and products. Describe the buyer and the problem that your products or services help to solve. As a business, you must also ask yourself why customers should come to you and not your competitors. You can also retain customers if they feel that you provide value. In most cases, your business or products will overlap with many others in the market. However, you must look for ways to stand out regarding product quality, product delivery, and packaging and customer relations. Value addition should be an ongoing initiative in your business. This value must be felt both online and offline. 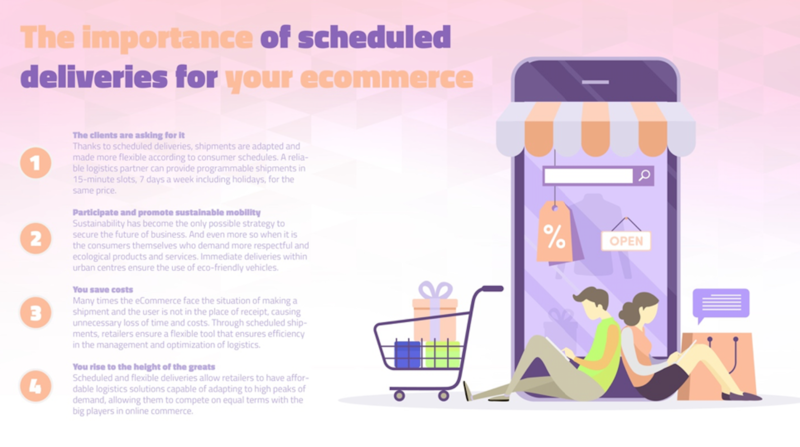 While e-commerce trends keep shifting these fundamental principles discussed above will help your company weather and stay afloat in the midst of shifts in digital trends. Company policies should be aligned to create room for these strategies for your business to thrive.